Jannat 2 Collects 9 Crores in One Day | GSV Films :: Film news, video songs, movies news telugu, tamil hot actress. Emraan Hashmi is in jannat (heaven), literally. 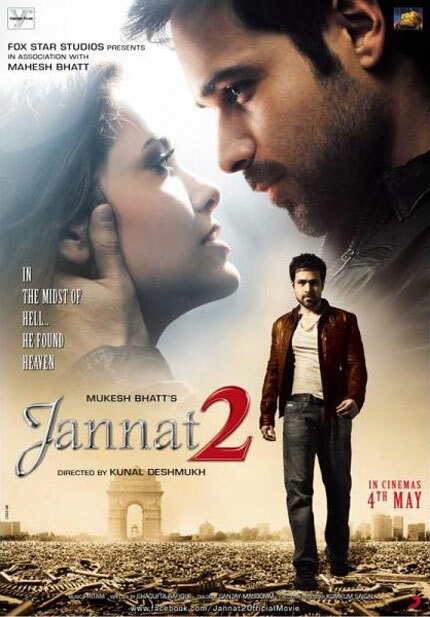 The sequel to his 2008 superhit, Jannat 2, has got off to a flying start, collecting Rs. 9-crore plus on the first Friday. It could emerge as the third biggest opening of 2012, after Agneepath and Housefull 2. The play-it-down philosophy was reflected in Jannat’s publicity. The unveiling of the first ‘Kutti kameeni cheez’ promotional campaign coincided with the launch of IPL 5, but later, it almost seemed to have run out of steam. “We don’t need to OD on PR, there’s a sense of desperation in doing too much. Eventually, it is the audience that embraces or kicks out a film. By spending unnecessarily on publicity, you are only stretching your budget and cutting profits. Our aim is safe economics and today Jannat 2 is a paying proposition for all,” he reasons.